In this photo, on left, you see a 30BR case after expansion. Note the ridge at the base of the neck. This needs to be removed via neck-turning. 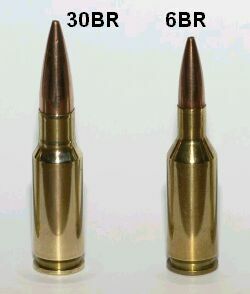 Share the post "Origins of 30 BR and 22 BR Cartridges"